Leaves which accumulate in the gutters will cause clogs and damage to the soffit and fascia and then lead to ice dams once the temperature drops. We offer full spring and fall property cleanups & leaf removal to prepare your property for the upcoming months. This service consists of removing all leaves and debris from the lawn, flower beds and driveways/parking lot. Cleanup and removal of leaves is often a time consuming job for any home owner and not one most enjoy doing. 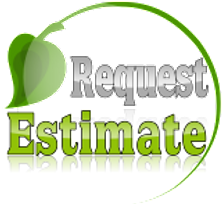 Give the professionals at CJ Cutting Edge a call today or request a estimate below. Our Spring & Fall services include lawn dethatching and aeration, overseeding and planting, leaf cleanup and removal and gutter cleaning. Town of Tonawanda, North Tonawanda, City of Tonawanda, Town of Amherst, Clarence NY, Clarence Center, Williamsville NY, Snyder, Getzville, Lockport NY, Kenmore NY and immediate surrounding towns and villages throughout Western New York including both Erie and Niagara County.